...and I was like...how did you get my Bitmoji and put it together with yours?! Turns out it is called a Friendmoji (insert old person #GenerationGap joke). 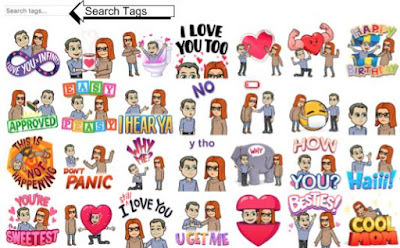 She explained that if you have the Bitmoji keyboard on your phone, you can add these by clicking the little double face on the right side of the Bitmoji search bar. Very fun! Cut to today. 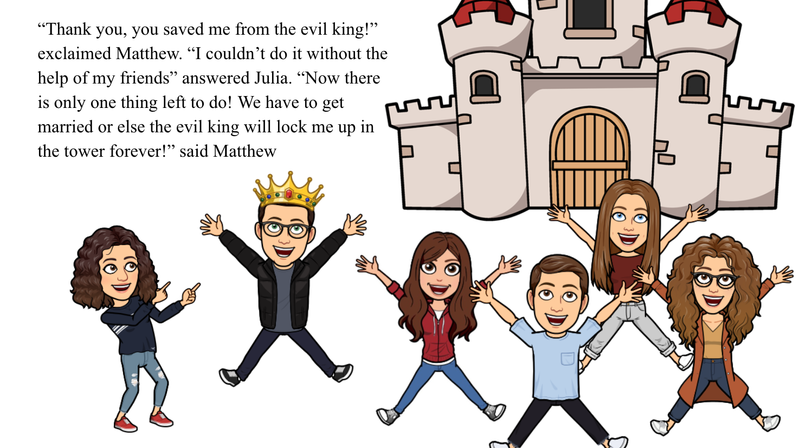 Sylvia Duckworth has a great, creative workshop all about making comics with Bimojis. It is really fun. She was looking to level it up. We are part of a Google Hangout Group called Maple Syrup EDU...a group full of amazing, talented, helpful Canadian educators. We communicate in this group often - and Syl turned to the group to collaborate and generate ideas. I shared Friendmojis..and it seemed like a solution until we realised that you need to be Snapchat friends with the other person...and we don't all have Snapchat - and a lot of schools have it blocked. 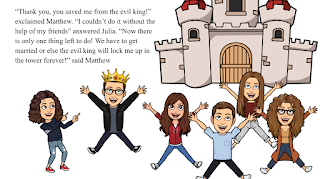 Chris Webb shared a doc (see shot on the right) that a student had created wherein she had created a whole bunch of different emojis to create a story...but that took making a whole bunch of email accounts and Bitmojis. Jonathan So suggested using your own account and just changing it up, but that seemed a little labour intensive. We all wondered if it could work with the Bitmoji Chrome extension. It couldn't. 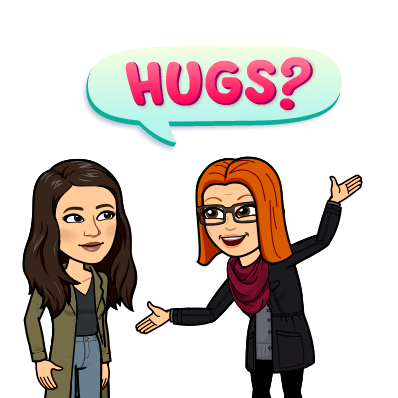 Then, Michelle Armstrong did some digging and found a Friendmoji creator! 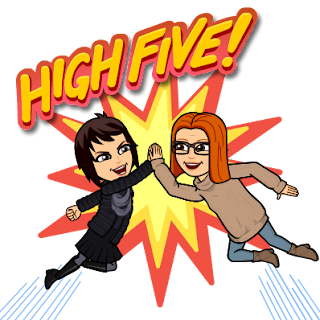 It creates Friendmojis with just the link of two bitmoji - links that can be retrieved from the Bitmoji Chrome Extension! #WIN! Huge High 5 to Michelle Armstrong! Michelle then leveled it up and created this Google Sheet to make the process easy. So now, we have a fun way to create...thanks to some good old fashion comminication, criticial thinking and collaboration! Oh Canada!